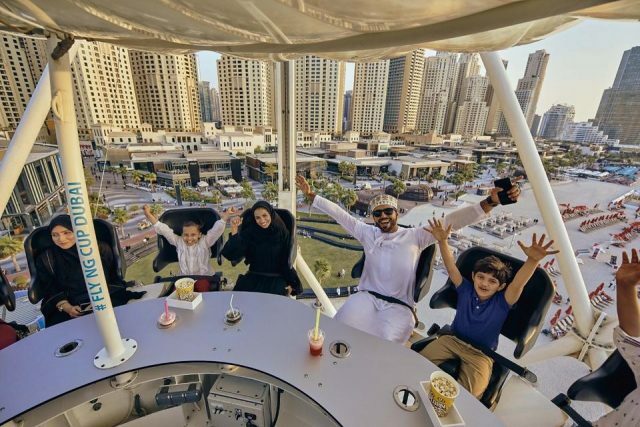 Dubai’s Department of Tourism and Commerce Marketing (Dubai Tourism) is rolling out a set of initiatives to deliver end-to-end “Only in Dubai” experiences. One of the key pillars of Dubai’s Tourism Vision 2022-2025, the “Only in Dubai” set of initiatives will deliver authentic and world-class end-to-end destination experiences across travel touchpoints that are tailored to relevant segments of tourists. The tourism strategy announced by Dubai’s visionary leadership aims to make Dubai the most visited city in the world, targeting 25 million visitors annually by 2025, and the unparalleled “Only in Dubai’ experiences will offer regular unexpected delight moments and active reduction of detractor moments or pain points that will positively impact guest happiness to inspire the millions of tourists to re-visit Dubai. Measuring visitor recommendation and satisfaction is being done through Tourism’s Happiness Index, which was launched under His Highness Sheikh Mohammed bin Rashid Al Maktoum, Vice President and Prime Minister of the UAE and Ruler of Dubai. This index measures not only Dubai’s ability to exceed service expectations but also helps ensure that every visitor to Dubai becomes a passionate loyalist and a firm advocate of the city. Dubai Tourism will develop end-to-end “Only in Dubai” experiences with the help of the emirate’s agile and responsive ecosystem, featuring collaborations with partners and stakeholders in creating various specialised programmes, activations and authentic one-of-a-kind experiences. Dubai Tourism has already laid a solid groundwork for the elevation of customer service through the Dubai Way programme run by its Dubai College of Tourism (DCT). The Dubai Way programme is targeted at government and private sector staff engaged in tourist-facing roles in a range of sectors, from hospitality to retail to the domestic transportation service, with the aim of imparting standardised information and instructions and ensuring excellent guest relations and customer service at tourist touchpoints across the emirate.